Default Domain Policy GPO should only be used to manage the default Account Policies settings, Password Policy, Account Lockout Policy, and Kerberos Policy. 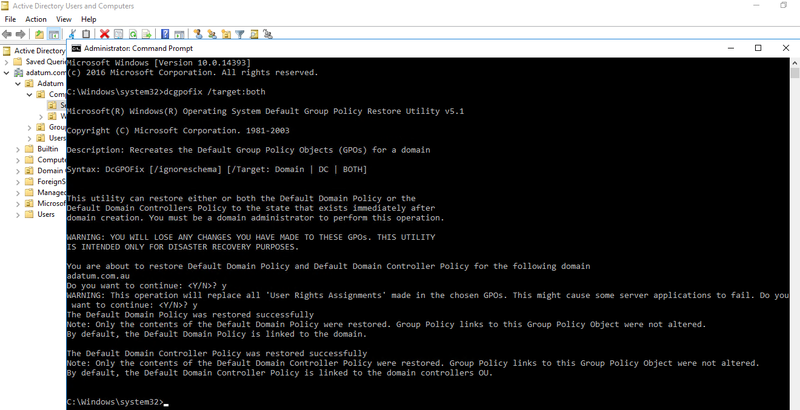 Default Domain Controllers Policy GPO should only be used to set user rights and audit policies. Once executed it will confirm you want to restore them to their out of box defaults, which we can confirm with a couple of Y responses and then bang they should be restored, see the screen shot for an example of it running in my test lab. I was recently setting up some Linked SQL Servers for a customer to perform queries against a database on one server through another. One of the things you need to get right when setting up linked servers when using Service accounts in Active Directory is SPNs (or Service Principal Names) and Authority to Delegate (for Kerberos authentication) which can sometimes be quite cumbersome through ADUC or ADSI edit. 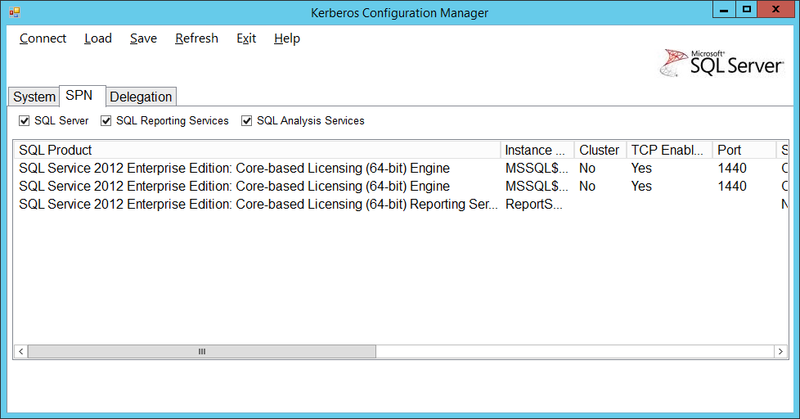 I then stumbled upon a little tool from Microsoft called the Microsoft Kerberos Configuration Manager for SQL Server. Running this little tool on the two SQL servers I could quickly and more easily see the SPNs (see picture to the right) and Delegation permissions. As one server was quite old (and before my time) I could easily see that the SPNs configured for that particular service account were incorrect and the tool even allows you to fix this by generating the correct SPN. Hope that helps save some time in the future. I was recently assisting a client with an upgrade of their Configuration Manager (SCCM) environment up to the latest release of 1702 and as part of that we’re also going over it’s currently deployed functionality and making sure it all works. They recently noted that clients were no longer receiving updates and ran the Software Update functionality of ConfigMgr, which funnily enough also relies on WSUS to sync up to Microsoft (but not push out the updates themselves). So when troubleshooting Updating issues, you need to check both the Software Update Point and WSUS, and lowe and behold the WSUS console kept on crashing. After checking the Update Services service, I then turned to IIS and noticed the UpdatedServices Application pool had stopped, so I started it and went back into the console but soon noticed it had died again. After reading some advice on the TechNet forums they suggested raising the memory limit of the Wsus Application Pool, which is done by selecting the Application Pool Name and then clicking Advanced on the right hand side or right click menu. Scroll down to the bottom of the Advanced Settings Window until you see Private Memory Limit (KB) and increase this from the default of 1843200 (which is 1.8 GB) to 4194304 (which is 4 GB). Make sure you have enough RAM allocated to the machine, if you are feeling courageous you can also set the value to 0 which does not set a limit. The resource you are trying to access is not available. Contact your administrator for more information. The reason being is that this is disabled on Server 2016 and there is an extra step that needs to take place to enable it. We can check to see the current status by issuuing the following command in a PowerShell window. This enables the IdPSignonPage and allows us to test a login process for a SAML authentication supported application. Once this works I know I can safely begin to provision my applications to authenticate users against this AD FS server. A client is currently in the planning stages of doing a migration to Azure AD and Office 365 and one of the things we needed was a list of users who have not logged on in the last few months but are still active in our AD. 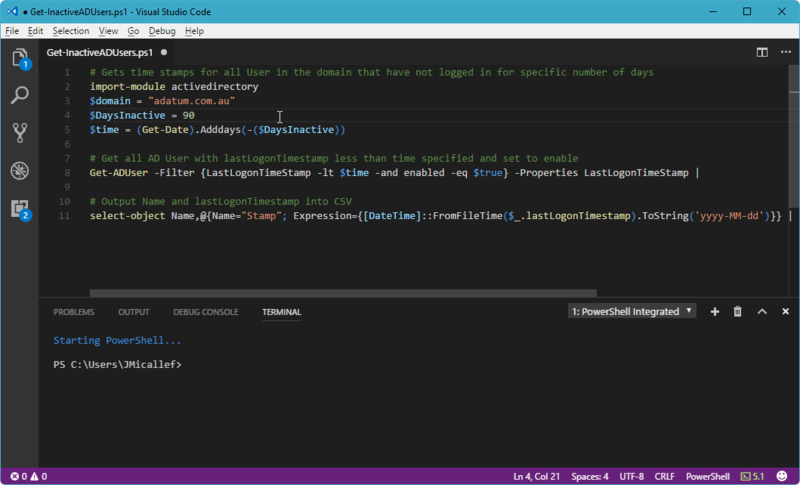 Well it’s PowerShell to the rescue again (with Visual Studio Code my IDE of choice) with the following snippet of code which will query an AD environment looking for accounts which haven’t been touched in this case for 90 days and give me a nice CSV of their name and last logon timestamp. Save the above into a PS1 and then run this on a server which has the AD PowerShell modules (usually one of your DCs) and will then create a CSV located where the script is with a list of all the users who are still enabled but haven’t logged on in your environment. So we had recently enabled DNS scavenging for a large environment who also had a DirectAccess server. The next day we were getting help desk calls about remote users not able to connect and those who were in the office unable to use their devices. One of the cornerstones of DirectAccess is DNS and the Network Location Awareness this provides to the clients. We had to re-create the DNS records for DirectAccess manually on one of their DNS server. directaccess-corpConnectivityHost which includes both A and AAAA records when deployed on IPv4-only networks. Basically the Loopback addresses for both IPv4 and IPv6. directaccess-WebProbeHost this includes only A records and resolves to the IPv4 address assigned to the internal network interface of the DirectAccess server. directaccess-NLS should point to the server hosting the Network Location Service, which should be Highly available. So when building your DirectAccess infrastructure, always remember to set the DNS entries as Static. I recently had to extract some data from our DirectAccess server to get information about a particular user and their number of connections during a time period along with data transferred. 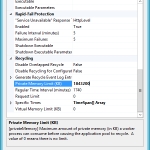 The Remote Access Management Console allows you to view these details but not extract or save them. So I turned to PowerShell and used the following snippet to extract what I needed. Get-RemoteAccessConnectionStatistics –StartDateTime "1 April 2017 12:00" –EndDateTime "8 April 2017 12:00" | Export-Csv –Path "C:\Temp\DAConnections.csv"
I then cleaned the data up in Excel to give me only the user I was after along with date and times and amount of data transferred. You can also use Get-RemoteAccessConnectionStatisticsSummary and Get-RemoteAccessUserActivity which further drill down into what a particular user has been up to while connected to DirectAccess. Starting with Google Chrome 58 no longer trusts certificates without the Subject Alternative Name attribute, so this makes it a little troublesome for those with internal CAs where you rely on them for Software Development. We noticed last week that some end users couldn’t hit an internal application over HTTPS, but was fine in Firefox and IE. After a quick search, I’d found the culprit was a change in the behavior of Google Chrome to adhere more stringently to RFC 2818. 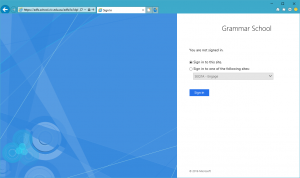 So I went to work on our CA in enabling certificates to be requested with the Subject Alternative Name Attribute. Fill in the dns= part until you cover off all of the sites you need. Complete the request to install the certificate onto your server and adjust the SSL bindings to use the new certificate. 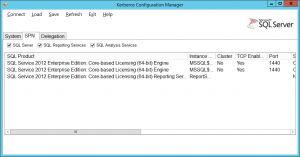 I was recently helping out a colleague with an SQL Server Reporting Services (SSRS) installation. When it came time to configuring that instance of SSRS and making it listen on port 80 for that particular site we got The URL has already been reserved warning message, navigating to the Reporting Services URLs gives us a HTTP 500 error message. To find the culprit I can usually use netstat -ab to find what windows process is listening on particular ports but for this instance it was simply SYSTEM, this usually means that an application is using the HTTP.SYS driver to directly listen for requests. So to work around this and find out what has bound to those ports, we use netsh http show urlacl and when I ran it on this server, I could see that ReportServer had already been enabled on Port 80. A much easier way I’ve found is to use a tool called HttpCfg.exe written by Steve Johnson which is based on a tool from MS (now obsolete). I’ve got this in my toolbox for the future, but simply open the tool, select the entry and hit delete. 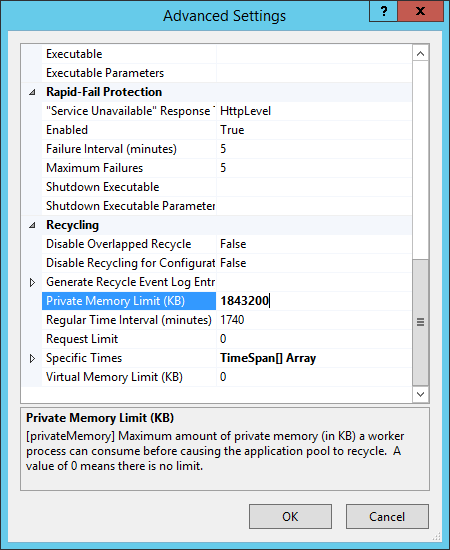 Now we can re-run the SSRS Web server configuration and hit apply which should succeeded this time.